As a parent, the tablet is an inevitable part of our kids lives. For those of you that have managed to avoid it. Kudos to you. For the rest of us, it has a permanent place in our household. Full disclosure, my kids each have an iPad. Granted, they are hand-me-down iPads with cracks and dents and software that is ancient, but they love it. Mostly, they love it for full access to the internet. 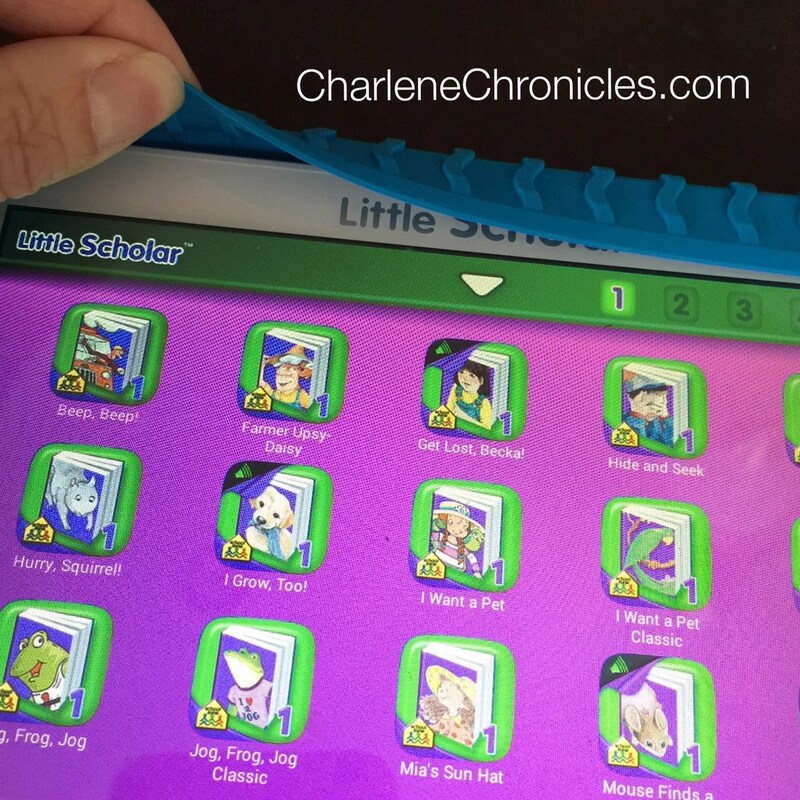 However, the School Zone Little Scholar Tablet has triumphed as the best tablet for kids, for toddlers and for the money in 2015 in our house. So, we implemented a new policy in our house – Sunday Funday. That is the only day they get to play with the iPad unless it is to access online school programming, which they do during the week. It seems to work out pretty well, until I cave in because I have a meeting, or we are in the doctor’s office for over an hour. You know how it is, if you are being an honest parent. I feel guilty, get the public stares, and then to top it all off, I hate lugging the two bulky and big iPads around in my purse. 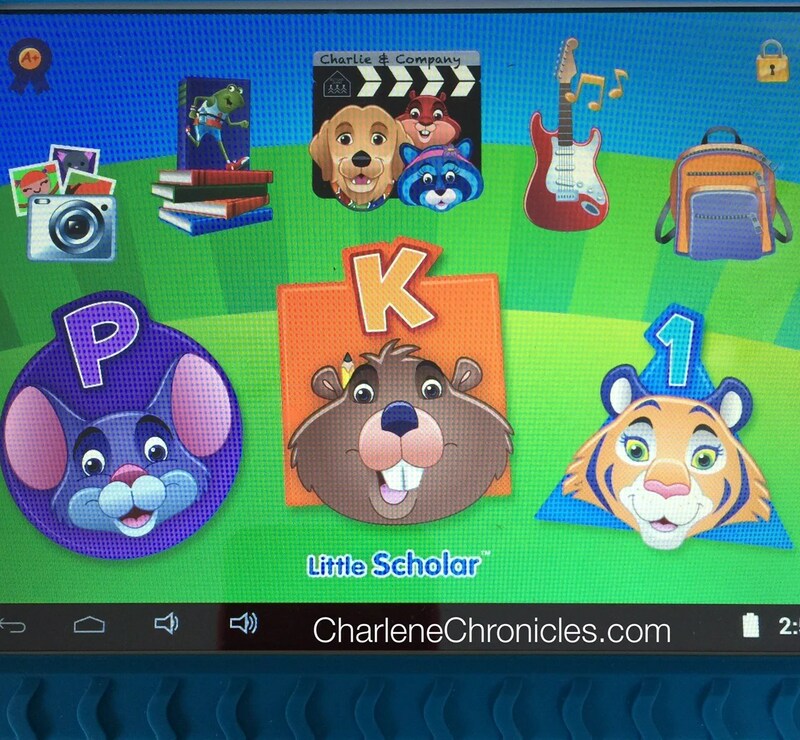 I was ecstatic when I got a complimentary School Zone‘s Little Scholar kids’ learning tablet. First, it is 8-inch tablet, that is a perfect size for little hands (and my handbag). It runs on the latest Android operating system too, so it is modern. It also has one of the most kid-friendly interfaces I have ever seen; the graphics are the real deal and not those grainy, pixelated, dull graphics of other kid tablets. My parent nirvana, however, is that the tablet comes preloaded with more than 200 apps, books, songs, and videos. While there are more apps that can be downloaded (no running to the store), there is plenty for the kids to do without having to spend hours getting it set up. To download additional content, you don’t need to install software on your computer either. You can just use the WiFi capability on the device itself (in a parent only access section for kid control!) to download more content from the Google Play store. Then I delved into the content on the inside. In addition to educational games, the app also features videos, sing-along songs, books, and a front- and rear-facing camera, so there is free play, if you will, that will make the kids want to explore and have fun while learning. As a parent to a 3 year old girl and a 5 year old boy, there were additional features that I liked for a multi-gender and age household; like the Start to Read! program featuring three levels of storybooks, and the homepage that categorizes the apps by preschool, kindergarten, and first grade. It is easy to switch back and forth, however, so if your child is at a certain level for math, but higher or lower for reading, they can find the right fit. Or you can change the different apps available within each category on the homepage. All of the games can be played without access to the internet, so it is controlled game play, as well as easy to take on the go in the car or plane. Phew! If that wasn’t enough, there was one last feature that sealed the deal for me. 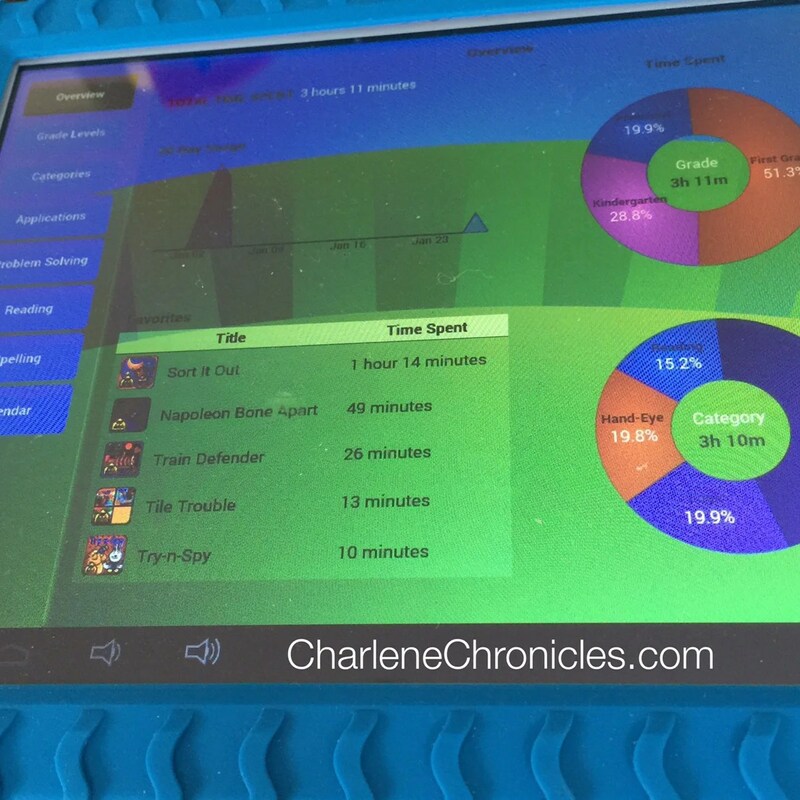 It was the A+ app, which allows me to track my kids’ activity, such as how much the tablet was used in a particular day, how long each app was used, and it even breaks down time usages into categories like reading and grammar. So I can get a parent check if I’m letting them play with it too much, or see if my kids are spending too much time in one education area. So I can have them refocus on other subjects while at the same time learning what interests them the most. Can you believe the price is $170 for this device. One that is built to last on the outside AND inside beyond a three month span of time? I think the only thing I ‘d like to see is some licensed content (like popular Disney Characters or Marvel Characters), and even some kid appropriate content regarding money and savings, which I’m sure will be easy to do at some point down the line with Google Play. Then, just to note, the you can buy car chargers, and a carry case with a handle so it is really a solid kid tablet brand. Here is my 3 minute video review if you want to see the tablet in action! This is a great tablet to supplement preschool and kindergarten, give kids an alternative to an iPad if they have one, or start them off right with a quality tablet inside and out. It is also great tool for therapists to focus on certain case management goals for children with delays or on the spectrum. As a parent, I love the size, the safety features inside and out, the graphics, and the monitoring capabilities, and the longevity of the device with the expansion possibilities and additional content. My parent guilt days are over. I am proud to bring this with us on the go and let them use it during the week. On our Sundays Fundays that we have implemented? My kids now reach for their Little Scholar Tablets more so than their iPads and that, my fellow parents, is a victory! Enter to win a tablet for yourself in the form below. Then don’t forget to check out the other giveaways I have going on here! Love to win this for one of my grandkids. This tablet would be great for any kid.